Does anyone go a little crazy when they host a dinner party? And when I say “crazy” I don’t mean losing your marbles. I mean you’re running around the house doing 17 things at one time in fast forward motion. This time of the year, my husband and I host many dinner parties. I’ve been doing it for years, even before I met him. You’d think that over the years I’d relax a little more about these things. After all it’s always family and friends. Nope. I never think I have enough time to fit in everything I want to do. From cooking all the food, to making sure that the bathroom is spotless, to fluffing the pillows, to lighting all the candles. My husband has the unenviable job of keeping me on track. Even seeing a pine needle on the floor will distract me to the point where I drop everything to pick it up. Okay, maybe I go a bit crazy… sometimes. I do enjoy hosting though. No really, I do. I think I’ve been doing pretty well so far this year or maybe I’ve just gotten used to the hustle and bustle of hosting. Hmm, food for thought. One trick to easier entertaining is making easy food, like these easy peezy pinwheels. Do they look like pinwheels to you? I’m going to go with “sort of.” They are however very simple to whip up and you can make them the day before the event and stuff them in the fridge overnight. Sweet! One less thing for me to do the day of a party. 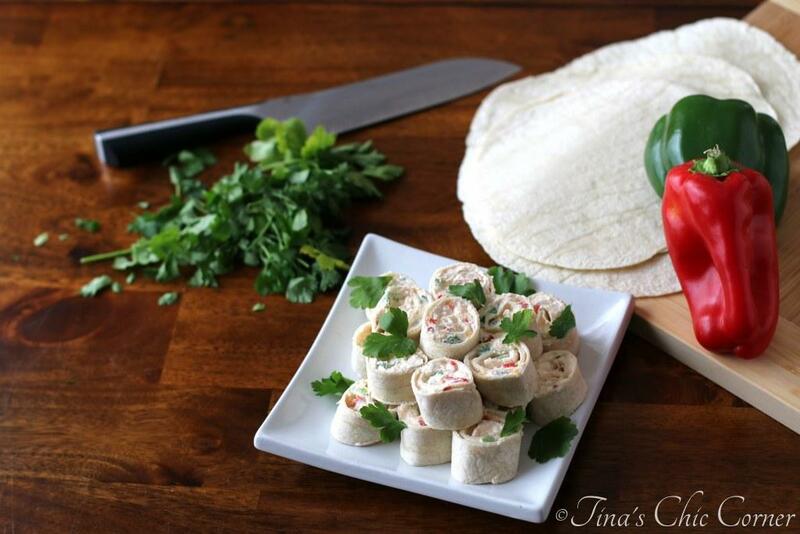 These wraps are stuffed with red and green bell pepper. Get it? Red and green is automatically holiday festive. Of course you can serve these in July and simply leave off the “holiday” reference, I won’t tell anyone if you don’t. They only scream Christmas when you want them to. 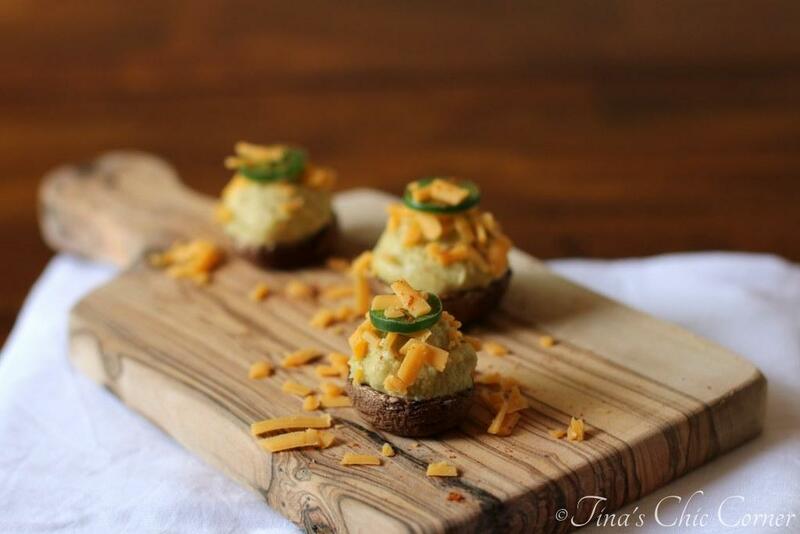 I’ve served these savory treats several times and they are always a huge hit. It’s the kind of recipe that everyone asks for. What is it about these pinwheels that captures everyone’s attention? In a medium bowl, mix together the sour cream, cream cheese, finely shredded cheddar cheese, finely chopped red and green bell peppers. Divide the cheese mixture into thirds. For each of the 3 tortillas, do the following: Lay the tortilla flat on your work surface. Spread the cheese mixture evenly over the whole tortilla. Roll up the tortilla like a cigar and cut the roll into 1 inch slices. I like you can make them ahead of time. 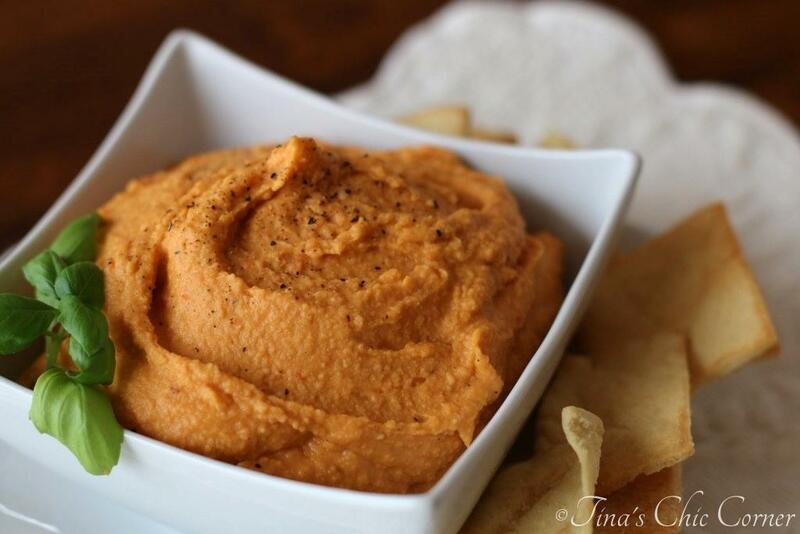 Can this appetizer use hummus instead of cream cheese and sour cream? 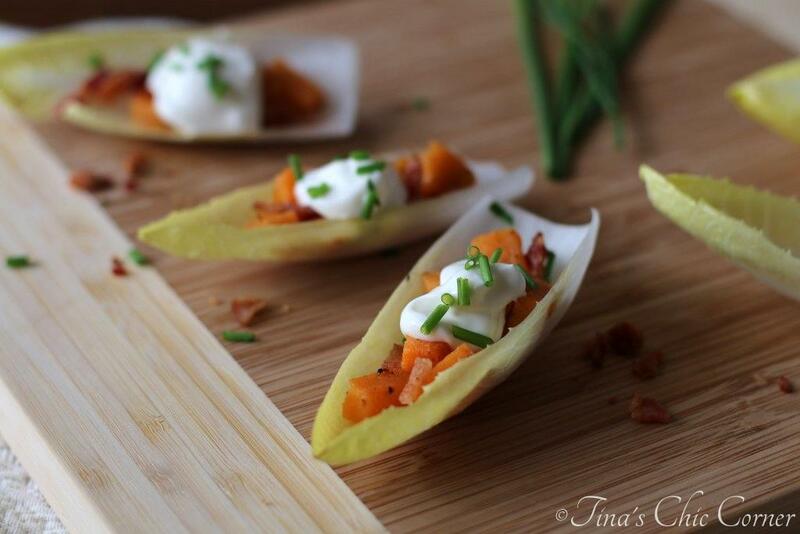 I love holiday entertaining… we have a few parties coming up that we are hosting for family and friends. And easy entertaining recipes is where it’s at! Love this quick and easy idea! I love pinwheels! These look amazing!